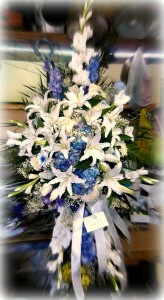 A stunning sympathy spray of white lilies, blue hydrangea, white gladiolus, white cushion mums, baby's breath and lush greenery. Delivered and displayed on an easel. Spray is approx 36" from top to bottom and 24" across. 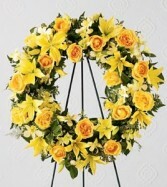 Price includes gold lettering on ribbon if desired. 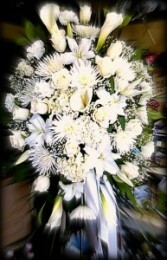 A lush mix of all white flowers including white roses, spider mums, hybrid lilies, filler flowers and greenery. 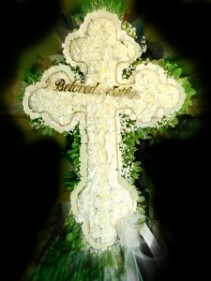 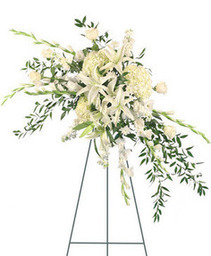 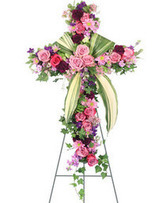 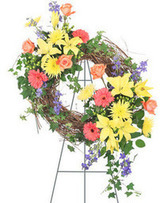 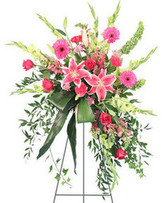 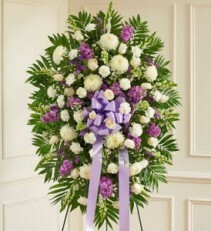 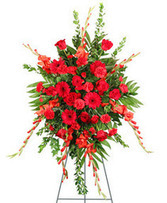 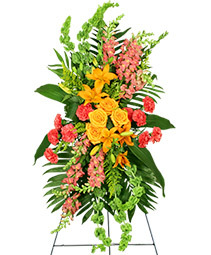 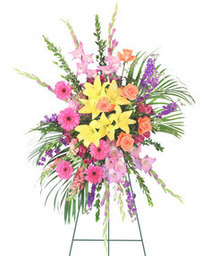 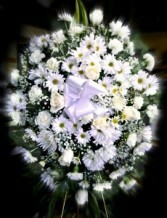 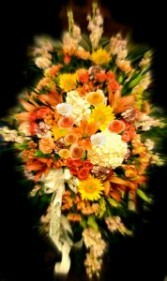 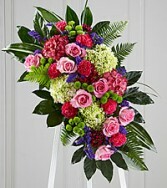 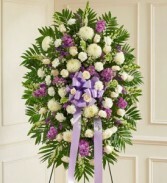 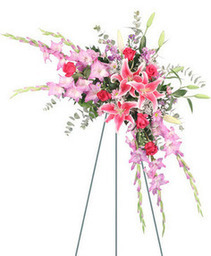 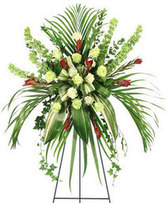 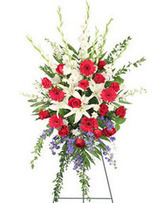 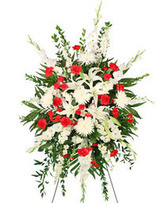 30"H x 24"W.
This standing spray is a tribute that is appropriate for a funeral or memorial service. Red roses and mini carnations surrounded with white chrysanthemums and lush greens arranged in an oval design. 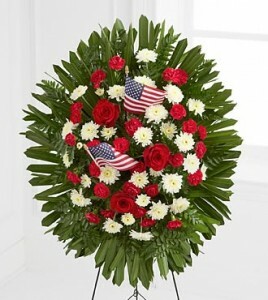 Approx 24" across. 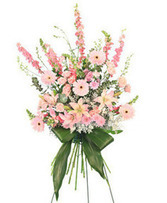 Express your sympathy with this elegant heart composed of pink and white flowers including lilies, pink roses, white cushion mums, baby's breath and greenery. 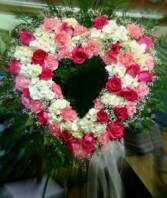 Heart is approx. 23" across, adorned with ribbons and a bow and is displayed on an easel. 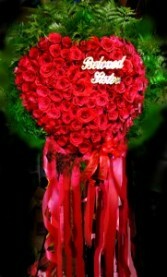 Standing Heart is an exquisite display of enduring love. 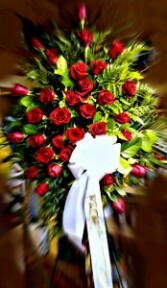 100 Stems of velvety red roses are artfully arranged in the shape of a heart and framed with lush greenery. 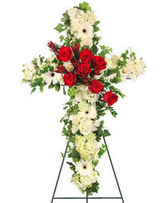 It is presented on a wire easel and adorned with flowing red satin ribbon.